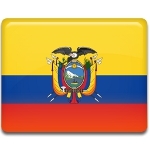 Independence of Cuenca is a public holiday in Ecuador, celebrated on November 3. Cuenca is the third largest city in Ecuador and the capital of the Azuay Province. It won its independence from Spain on November 3, 1820. Cuenca was established by Spanish explorer Gil Ramírez Dávalos. The settlement was named by then Viceroy of Peru, Andrés Hurtado de Mendoza, after his home town of Cuenca in Spain. It became the fourth largest settlement in Ecuador. During the colonial era Cuenca was developing very fast and in 1820 it had gained independence from Spain, two years before Ecuador won its Independence War. The day when Cuenca became an independent city is observed on national level, in addition to Battle of Pichincha Day on May 24, National Day (celebrating independence of Quito) on August 10, and Guayaquil Independence Day on October 9. People from all cities of Ecuador come to Cuenca to celebrate its Independence Day, participate in a largest festive events of the city and enjoy a colorful parade and dance performances.